Co-Pilot and Second Artillery Captain, Germán Ortiz Narciso. On February 21, 2012, about 1400 central standard time, a Bell 407 helicopter, XA-JMB, had a loss of engine power and impacted terrain near Loma Bonita, Veracruz, Mexico. The commercial pilot, who was the sole occupant, was seriously injured. 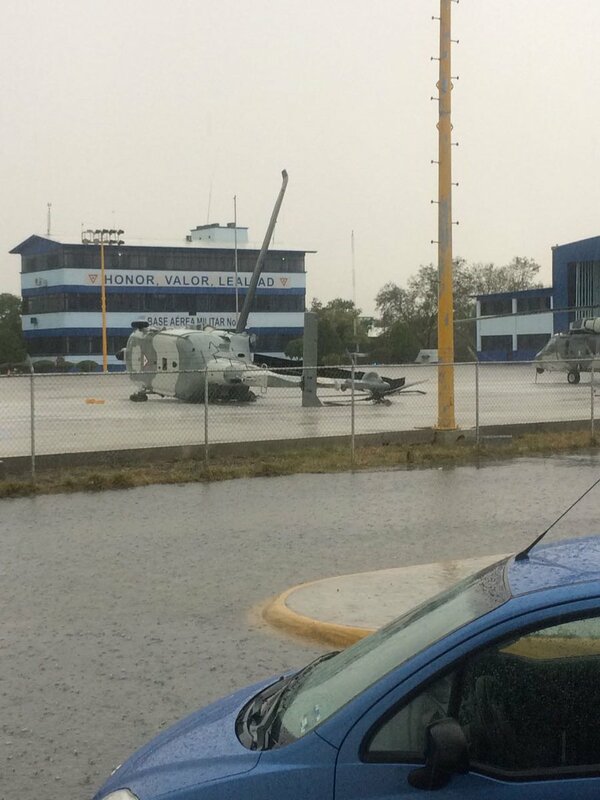 The helicopter was substantially damaged and was operated by Heliservicio Campeche S.A. de C.V. Visual meteorological conditions prevailed. The local flight and had departed from Veracruz, Mexico. Crashed into a built-up area.Â Pilot Juan Manuel Ruiz Rivera and Metropolitan Development Secretary Fernando Alberto Garcia Cuevas survived.Â Â Two fatally injured – as Julio Cesar Macerano, Garcia Cuevas’ assistant, and the co-pilot of the aircraft, Juan Esteban Rodriguez. Landed in a lagoon during a tour flight.Â The aircraft ended up completely submerged.Â Pilot Ricardo Bulerui and tourists Ricardo Santos and Eduardo Abelnai were not hurt in the crash. ** WARNING the photo in the first link contains a disturbing on-scene image **. Early reports gave a figure of 8 fatalities, but the final figure was 9 – Leonardo AndrÃ©s PÃ©rez Arteaga, 29 (pilot), Manuel Montes RÃ­os Heder, 27 (co-pilot), Jonathan Gutierrez Baeza, 23, JosÃ© Luis Salas Ventura, 32, Aaron Ortiz Gerardo Olvera, 26, Rafael Alfaro Bernardo Blanco, 67, Luis Alberto Hernandez Morales, 29, Omar Alejandro Barrera VÃ¡zquez, 22, Manuel GonzÃ¡lez PÃ©rez, 35.